There are lots of kindergarten and first grade AR words! Kids like learning the song Twinkle, Twinkle Little Star and they often get the idea of the r controlled a sound just by singing the song a few times. It's easy as it has the same tune as the ABC song. There are five AR phonics worksheets in this download, so you can choose how much to assign. 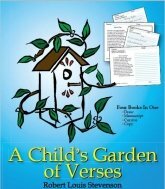 If your children are younger than second grade one page will offer plenty of practice. If you have third grade and older children who are learning the AR sound, they can do more; yet two pages is surely enough for most children. 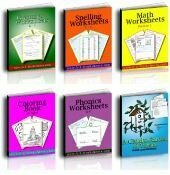 Do teach the AR sound and how to write it, offer dictation of several words so your children get the idea, and then give them these phonics worksheets for homework or practice. 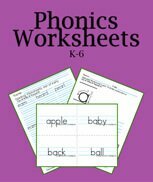 Use your favorite phonics books for rules and syllabication, and then use these PDF printable worksheets for review. 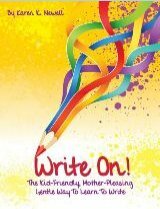 Print the first one two up for middle school children to have smaller lines like handwriting worksheets. It looks like a lot less work to the kids and actually improves their penmanship. 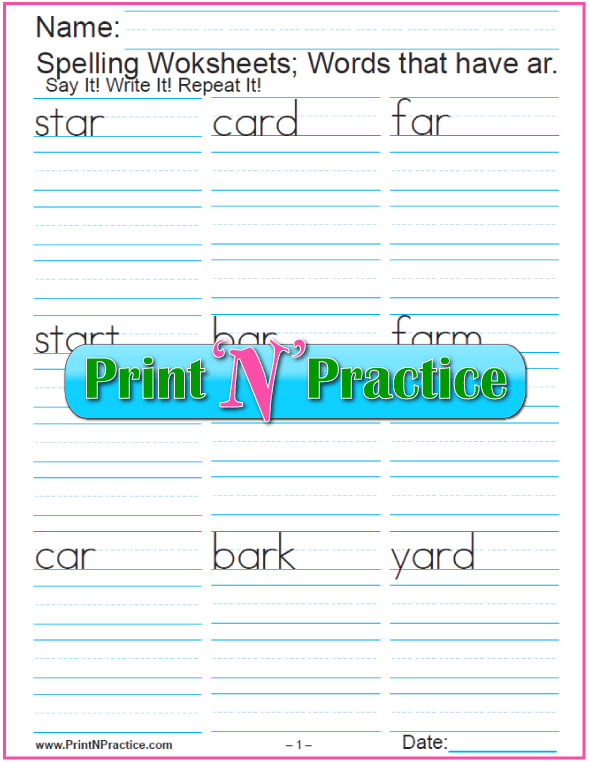 Printable AR Words Worksheets: Say the words while writing. Reading a poem or learning a song are great ways to help kids "hear" the sound because the sound is often isolated at the end of a line of poetry. Stories that focus on AR sound words are also helpful. We do not divide phonograms when making syllables, so keep the AR together at the end of a line of text. There is nothing to change when a word ends in AR for adding a vowel suffix. Often we prevent the /ar/ blended sound by adding another r to the next syllable as with the word arrow, meaning that the a retains its short vowel sound. For parents, teachers, and homeschool tutors who are teaching phonics activities for ESL students, might like to make the association between the sound made for AR verbs. You'll definitely want to teach that English doe not form the infinitive this way. The AR digraph is a blend where the a can still be heard in its third sound /ah/ and the r can also be heard. Here they're blended together and they make one new sound. 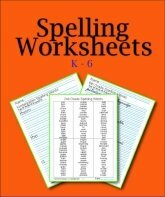 Kindergarten AR Words In a Large Font - K-2, print 2-up for middle school. Third Grade AR Words Small Font - Great size for grades 3-6. Choose the size that works for your children. 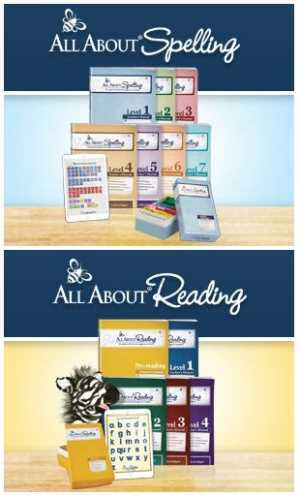 The different sizes can help you teach phonics to several ages of children. As you're teaching the phonogram AR, dictate these words for your children to write into their notebooks or use your own paper. The main thing is to have practice writing the /ar/ sound "by ear". The AR worksheets above make homework lessons. 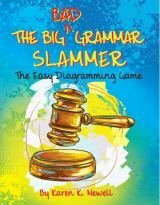 I include some simple sentences below so you can teach the vocabulary of the words you dictate. arc – A circle is a full arc around a point. arch – The church door is under the arch. ark – Noah built a boat called an ark. arm – My hand and elbow are on my arm. bar – He shared his candy bar. bark – Bark is the skin on a tree. barn – The cow and the pig live in the barn. car – Dad took the car to work. card – Send grandma a birthday card. cart – The horse can pull the cart. carve – He will carve a stick. charm – She has a sweet charm. dark – Black and brown are dark colors. dart – A dart is a small arrow. far – Italy is far from Canada. farm – The barn is on the farm. hard – The farmer works hard. harm – Do no harm. jar – The jar is already open. lard – Lard is an oil for cooking. march – March is a month of the year. mark – Mark the calendar holiday. part – I will eat part of my sandwich now. shark – A shark is a strong fish. smart – A smart child studies well. star – I like to sing Twinkle Little Star. start – Start counting with the number one. starve – Feed the birds in winter so they do not starve. tar – There is tar on the road. yard – Fall is a good time to rake the yard. yarn – She can knit with yarn. apart – Keep the dog and the cat apart. army – Dad was in the army. arrow – He gave me a bow and arrow. artist – The artist drew the picture. backyard – Mow the backyard grass. carpet – The living room carpet is tan. charcoal – Light the charcoal for a BBQ. garden – Weed the garden and pick the radishes. market – Take the radishes to market. parking – The car is in the parking lot. sharpen – I like to sharpen my pencil before class. starfish – The starfish lives in the ocean. target – Bob shot the target with his arrow.